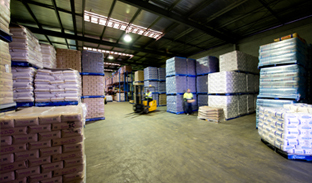 Godfreys (ICSH P/L) and Cochrane’s have signed a new contract for linehaul and distribution services from Melbourne into South Australian stores. Repco Auto, part of the GPC Group, has thrown its support behind us for a contract extension. While growth in a business is positive, it does create some challenges. Luckily our business had over 10,000m2 of "future potential" put aside for development. Commencing 30/9/13, Cochrane’s has been awarded the contract for route delivery and country distribution of Schweppes products. 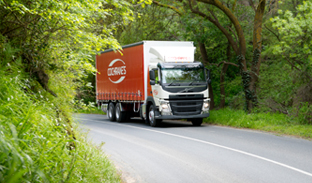 Australia Post has shown its continued confidence in Cochrane’s by extending contracts to service the South East and North West lanes with a new long term contract. Cochrane's customers continue to embrace our investment in technology with over 30% of our con notes now created electronically. Our cutting edge IT gives us the ability to accommodate a multitude of software applications. One of these is the WebDespatch platform, which was launched in November 2011. 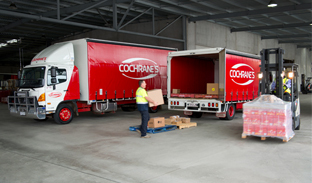 In 2013, Cochrane's has expanded pickup and delivery services to the outer eastern and north eastern suburbs of Adelaide, as well as the Fleurieu Peninsula, Adelaide Hills and Murray Bridge regions.